How do you prepare for Lent? How have you prepared in the past? What are your ideas about what should happen during Lent? We have the traditional Catholic practices of praying, fasting, and almsgiving. So, we pray more than usual, or we pray with different emphases. We eat smaller or fewer meals or give up a favorite food or drink group. We give more of our resources or give them specifically to special works of mercy during Lent. Prayer, fasting, and charitable giving continue to be quite good practices during Lent or at any time. But, you might think, how do I prepare myself for this season? What needs to happen within so that I can practice with more integrity and intention whatever I’m doing on the outside? There are plenty of ideas for actions and practices during Lent; coming up with ideas usually is not the problem. But we don’t want to do anything simply to be doing it, even if it’s a good thing. We don’t want to make a list of merciful works so that we can place a checkmark beside each one as we accomplish it. It’s good to have a plan for doing. It’s also good to have a plan for being. How do I want to be during Lent this year? More quiet and thoughtful? More open to God’s desires? Better able to sit with people who need me? More attentive to sacred readings, whether in church or in private? Do I need to be more compassionate toward my own fears and failings? Do I need to become more courageous about using the gifts God has given me? In the days prior to Lent, try one or more of these suggestions. Ask God, every day, “What does my soul need?” Just ask, and wait quietly. Because we’re very good at fooling ourselves about how we’re doing, it might take several days of praying this question before we’re truly open and humble enough to know the answer. Ask God, every day, “What about my life makes you happy?” Yes, when God looks at your life, some parts of it—perhaps many aspects of it—bring joy to God’s heart. Think of how your children or grandchildren or other people close to you make you happy. God is in relationship with you, which means that your sins grieve God’s heart, but also that your growth and love and freedom and kindness bring joy to God of the universe. Again, you will probably need to pray this a few times before you are willing to consider that you give God pleasure, that you make God happy in any way. Stick with this little prayer and keep listening. Tell God, and yourself, every day, “I want to be open to the graces of this Lenten season.” Maybe you’re not open right now, or you’re not as open and willing as you’d like to be or think you should be. What else is new? We can always open our lives a bit more, let go of more stuff, listen better, and do more quickly and passionately what we know helps nurture God’s kingdom on earth. This is a beginning: three short and simple prayer starters to ready yourself for the holy season. 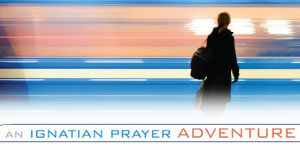 Remaining open to the graces of this Lenten season – a nice way to refill our spiritual repertoire. Thanks. Thank you for your inspired post. But, it seems just another “technique”. At 81, I’ve been through them all. They’re temporary fixes. I think I will just try to listen to God this Lent and beyond. Hmm, that’s novel: do nothing, just listen. Now that’s difficult! I think I’ll get started right now. Your post is an answer to my prayers and the longings of my heart. Thank you for your sensitivity to HIS SPIRIT. The most encouraging part is the gentle encouragement to keep at praying these prayers and not to give up. Thanks again. May HE continue to enrich the souls of all the participants. Love these ideas! I wrote them in my journal to do this year and to remember. Thank you so much. May God touch your heart in special ways! Giving our life back to Him! He knows best. Trusting Listening Waiting. Like His Mother. Thank you for posting this Vinita. Simply three questions to ask Jesus. How lovely and profound! This is a beautiful piece for inspiration and the prayer of listening as we prepare for the Lenten season. Vinita, thank you so much!